On the hunt for that perfect used car? When you choose a pre-owned vehicle from Bernard's Chrysler Dodge Jeep Ram, you can trust that whatever make and model you choose has been thoroughly inspected for quality. Better yet, we have a variety of used car specials available so you can feel good about what you choose to drive home to Amery. After you’ve taken a look at our pre-owned vehicle specials online, be sure to contact us to make an appointment and visit us in person! We look forward to getting you behind the wheel of a pre-owned car you’re excited about for a price you’ll love. Want to make your vehicle even friendlier on your wallet? Consider trading in your vehicle. 1 Owner!, Accident FREE, 4 New Tires! 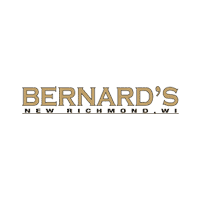 BERNARD'S in New Richmond is located just 15 minutes east of the Scenic Stillwater Crossing. As a WI dealer, our vehicles are properly inspected and disclosed. Existing manufacturers warranties are transferable, otherwise qualifying vehicles come with a 3 Month 3000 Mile Standard Warranty. See dealer for details as not all vehicles qualify. Swing by and see for yourself how Long Term Relationships are the Basis of Everything We Do. 1 Owner, Accident FREE, Extra Set of Winter Tires included, Blacktop Package, Heated Seats, Ventilated Seats and more.... BERNARD'S in New Richmond is located just 15 minutes east of the Scenic Stillwater Crossing. As a WI dealer, our vehicles are properly inspected and disclosed. Existing manufacturers warranties are transferable, otherwise qualifying vehicles come with a 3 Month 3000 Mile Standard Warranty. See dealer for details as not all vehicles qualify. Swing by and see for yourself how Long Term Relationships are the Basis of Everything We Do. 1 Owner, Accident FREE!, Heated and Ventilated Seats... BERNARD'S in New Richmond is located just 15 minutes east of the Scenic Stillwater Crossing. As a WI dealer, our vehicles are properly inspected and disclosed. Existing manufacturers warranties are transferable, otherwise qualifying vehicles come with a 3 Month 3000 Mile Standard Warranty. See dealer for details as not all vehicles qualify. Swing by and see for yourself how Long Term Relationships are the Basis of Everything We Do. AEV Tubeless Front Bumper, IPF 901 HID OFF-Road Lights, AEV Air Ram Snorkel, IPF Backup light, AEV Rear Vision System, Navigation, AEV Splash Guards, AEV Rear Corner Guards, Mopar Tail Lamp Covers, AEV Leather Seats, Differential Gear Upgrade, AEV Rear Skidplate, AEV Differential Cover Dana 44 Front, Dana 44 Rear,Trailer/Tow, Max Tow Package, 6.5 Touchscreen Display, Heated Front Seats... BERNARD'S in New Richmond is located just 15 minutes east of the Scenic Stillwater Crossing. As a WI dealer, our vehicles are properly inspected and disclosed. Existing manufacturers warranties are transferable, otherwise qualifying vehicles come with a 3 Month 3000 Mile Standard Warranty. See dealer for details as not all vehicles qualify. Swing by and see for yourself how Long Term Relationships are the Basis of Everything We Do.